There is something special about foyers! This is where guests make their first impressions about your home. This is where you see friends and family off. It is certainly a room with lots of memories! 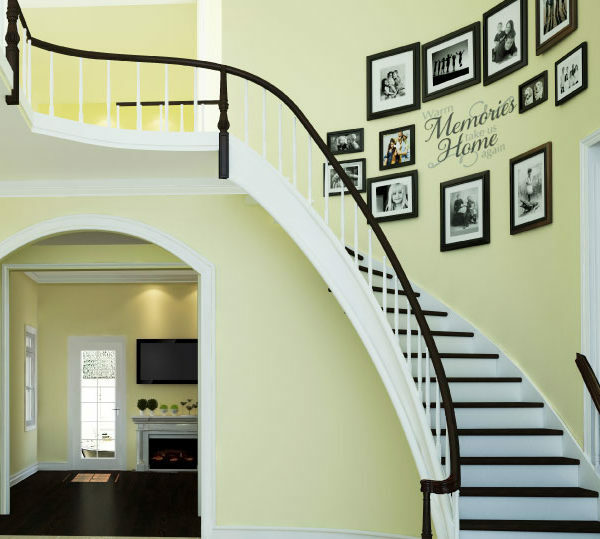 ‘Warm memories take us home again’ wall quotes are at home in this amazing foyer! There is so much to take in! The staircase and barrister are captivating and draw the eyes to the upper floor. However, it is the wall lettering that takes the icing! They will make all your guests comfortable. The hosts may live in a grand home but they desire that all their visitors feel at home away from home! At DecorativeLettering we have wall letters that are suitable for your foyer. Have a look at our entry way and foyer categories: you will be pleasantly surprised! Our wall words come in various sizes, colors, and styles. This means that you will be able to find wall lettering that will fit into your wall space: big or small! 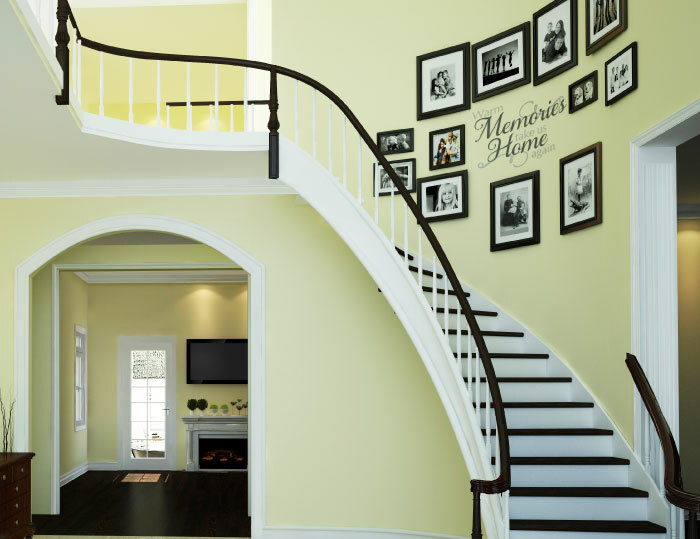 Are you looking for wall quotes that are right for the foyer? Are you looking for a unique housewarming gift? Try DecorativeLettering products. They are affordable. We also have a customer rewards program that will do wonders for your pocket. If you sign up, you will receive points for every purchase. If you refer us to a friend, you will earn points too! Now that is a deal! Do call or email.